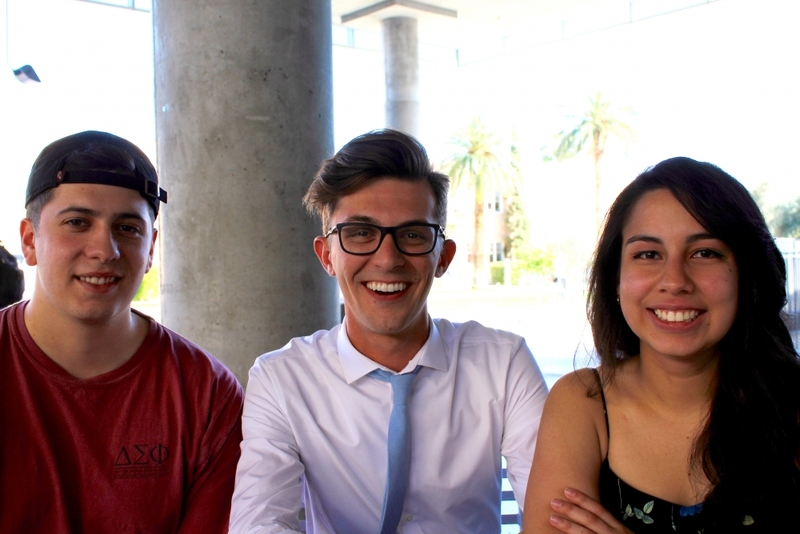 Get to know the Pruter 2017 ticket for Tempe Undergraduate Student Government. Kanin Pruter is running for president of USG and is an international studies and communications junior. Joining Pruter is Eryck Garcia, a political science junior who is running for vice president of service and Chloe Lopez, a political science junior who is running for vice president of policy. What are some of your platform and policy positions? Eryck Garcia: "I think what Kanin’s been trying to emphasize is to talk a lot about sexual assault on campus. I know that there’s also been a lot of issues with sexual assaults to the LGBTQ community." 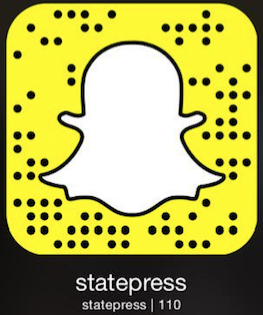 "Ultimately, the way that I structured the platform is to be that outreach is at the end. When we go through campus sexual assault … we hear statistics about men being sexual assaulted, it’s a very low percentage, but they don’t talk about the fact that those men are typically LGBTQ men." "In terms of college affordability, we want to make sure we have a strong student government that is advocating on behalf of all college students." "I’m financing my own college education myself, my parents aren’t paying for anything … it’s a very strenuous process and it’s something that actually a lot of college students are feeling right now, but they don’t necessarily know that there are resources out there to help them get connected and be further successful." Why are you qualified to run for the offices you seek? EG: "I’ve had the honor being involved in politics for the last eight to seven years, not only in the U.S. but Mexico as well because I actually have dual citizenship with both countries." "Personally, here in the U.S. I’ve worked for three or four different campaigns." "Here on campus I’m also involved with Delta Sigma Phi which also has a lot of philanthropic events." KP: "Personally, we’ve all got financial, academic (and) social stuff we’ve all struggled with in our times." "I understand what it’s like to be a full-time college student and have to work a full-time job and to balance a social life and an academic life." "I was a senator for Undergraduate Student Government, I was a chairman of the Government Operations Committee, which main purpose was to ensure that we held (student) government accountable and that everybody was following campus bylaws and constitution to the 'T.'" "After that, I founded Students for Hillary, Students for Sinema (and) Vote Now, which is a non-partisan voter registration/voter education organization." "Ultimately, (Vote Now) registered over 3,000 students on campus to vote last election." Chloe Lopez: "I’m a first-generation student, so I really feel where a lot of students are coming from with 'college is a new, scary environment.'" "I’m a part of Chi Omega ... I was on the executive committees for homecoming and Greek Week for the past three years from my freshman year." "I’m also a violence-prevention intern at the (state) capitol for the Governor’s Office of Youth, Faith and Family. Last year, I hosted a statewide event for creating awareness for domestic violence essentially, lighting Arizona purple." "On the state level, I have a lot of connections, a lot of relationships and I feel like that can be best utilized here." What motivated you to run for office and how was this ticket put together? KP: "As I learned who was running I thought to myself, ‘I want to run a campaign of people I can trust deep down, (people) I know, I've known since freshman year.'" EG: "It’s really easy to work with someone like Kanin. I think he’s extremely qualified for the position." "He can mobilize and get things done." "It’s very easy for me to support someone like that … I know we can actually accomplish a lot of these issues that we want to tackle." CL: "I think all of us, (it's) safe to say we’ve been politically involved, whether it’s locally or at the capitol, statewide, or nationally for that matter."